She Survived an Abortion. Now She’s Telling Lawmakers Her Story. “As somebody who has lived to see the effects of abortion, I think it’s incredibly important for the public to pay attention to this hearing, to hear the stories of people like me who know firsthand what late-term abortion looks like,” Ohden told The Daily Signal. Ohden survived a saline infusion late-term abortion and has since become a pro-life speaker. She is the founder of The Abortion Survivor Network, an advocacy organization with a stated mission to advance awareness of and to support abortion survivors. Bills sponsored by Sens. Ben Sasse, R-Neb., and Lindsey Graham, R-S.C., are expected to be featured in Tuesday’s hearing. Flake is sponsoring the “Born-Alive Abortion Survivors Protection Act.” If signed into law, it would require all health care practitioners to provide medical treatment to a child born alive in their presence after an abortion attempt. Both pieces of legislation explicitly state that women seeking abortion will not be subject to criminal prosecution if the acts are violated. “As a child who was initially left to die after an abortion, I believe that timely, appropriate medical care is incredibly important to children like me,” Ohden said. Ohden also testified last fall at a House Judiciary Committee hearing that focused on Planned Parenthood’s practices. Among those who are also expected to testify Tuesday are Dr. Colleen A. Malloy, an assistant professor in Pediatrics-Neonatology at Northwestern University’s Feinberg School of Medicine; Diana Greene Foster, associate professor in the Department of Obstetrics, Gynecology, and Reproductive Sciences and director of research for Advancing New Standards in Reproductive Health at the University of California-San Francisco; Jodi Magee, president and CEO of Physicians for Reproductive Health; Angelina Baglini Nguyen, a Charlotte Lozier Institute associate scholar; Dr. Kathi A. Aultman, a retired gynecologist; and Christy Zink, a pro-choice advocate. 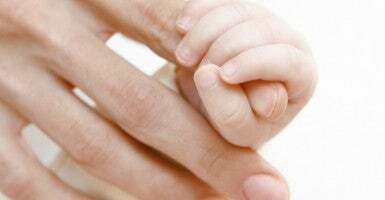 This article has been updated to reflect that the Born-Alive Abortion Survivors Protection Act discussed in the Senate Judiciary Committee hearing is sponsored by Sen. Ben Sasse, R. Neb., whose state was previously misidentified.